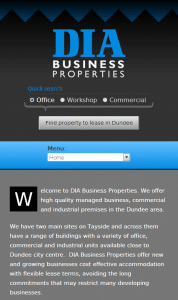 The Dundee Industrial Association (DIA) have been providing business property on Tayside since 1985. A non-profit making industrial and provident society, they offer new and growing businesses managed office, workshop and commercial premises at very reasonable rents and with short flexible leases. When they decided they wanted a new site and were looking for a web designer in Dundee, they got in touch with us and asked for some ideas. We provided them with four alternative designs and they chose a bold, modern look that reused the rooftop motif of their old logo. By working with them to understand their requirements, we built a web site that was easy to update. 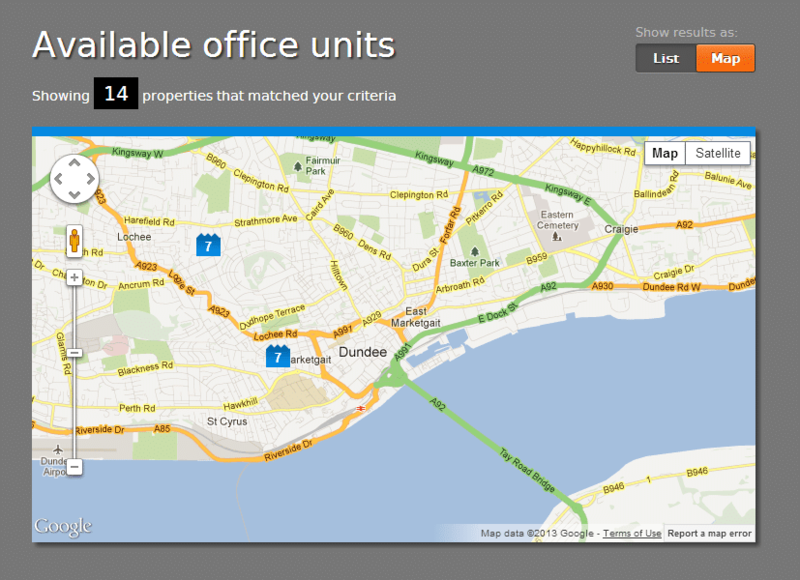 The site admin area has sections where DIA sites, buildings and units can easily be added and maintained. Information cascades automatically so pictures and features added to a site will be shown on all units within that site. This saves the DIA admin staff valuable time – they don’t have to re-type the same descriptions and addresses over and over and any changes are automatically applied at the touch of a button. The “user facing” part of the website includes a simple search facility where users can view available units in each category. The search results are available displayed in a list or plotted on a map, and unit details include a gallery and a map showing the precise location. The whole site is built using a responsive approach – so the pages re-size gracefully to fit on different devices. Regardless of whether you are viewing the site on a desktop computer, a tablet or a mobile phone, everything continues to look good and work correctly. 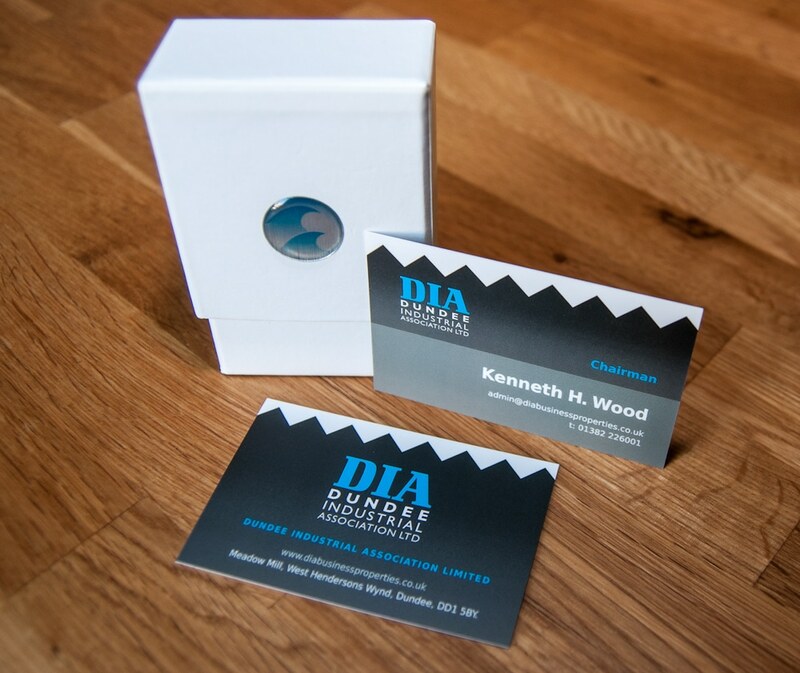 It’s not just important to present a good impression online, you want to carry that through to the real world too, so as part of the site design we sharpened up the DIA logo then produced double-sided full colour business cards with the new logo on for their staff. 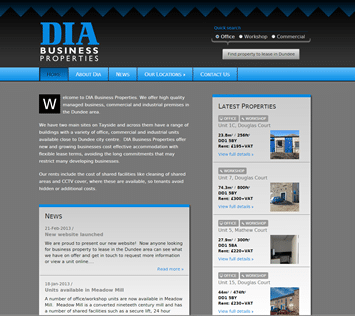 DIA Business Properties might have waited a while to open their doors on the world wide web, but now they have, with the help of Carnoustie Creative they’ve gone for maximum impact! If you are looking for a web designed in Dundee and the surrounding area, or even further afield in Scotland, please get in touch.